After two successful editions of the EMES PhD Summer Schools, at the University of Corsica (France) in 2008 and Roskilde University (Denmark) in 2010, the third edition will be held in Trento (Italy) in July 2012. The previous editions constituted outstanding successes, with over 79 students from over 28 countries taking part in the summer schools, the publication of a PhD Reader, the launching of an EMES PhD Student Network in 2008 and the creation of a dedicated blog (EMES Junior Experts Blog) in 2011. Several policy actions and initiatives, particularly in Europe, are being launched around the three “SE pillars” – as termed by EMES’ researchers in the first EMES PhD Reader -, which include social enterprise and social entrepreneurship, social economy and solidarity economy. In addition, there seems to be an ever-growing level of attention on the part of researchers around the globe for the wide array of topics included therein. This Summer School will thus be held at a crucial moment for all people doing research in the areas covered by the “third sector”. In addition, social innovation is often cited as an opportunity for social entrepreneurial initiatives to demonstrate their relevance at a time of major public budget constraints and insufficiency of traditional models in terms of employment and environmental sustainability. While the definition of social innovation itself is far from being shared by all actors, discussions about its interaction with the three SE pillars may help to cast some light on the very conceptual discussions on social innovation. 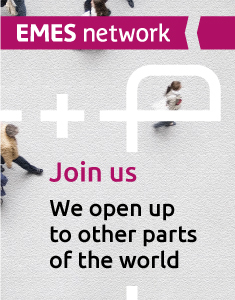 The EMES European Research Network (EMES) has thrived on exploring the similarities and differences – as well as the inter-relational dynamics – between the various SE flags, as well as the possible dialogues established with approaches like social innovation. As the interest in the specific forms the initiatives take and the contexts in which they emerge continues to grow, approaches from around the world need to be taken into account in order to grasp the complexity of this phenomenon. 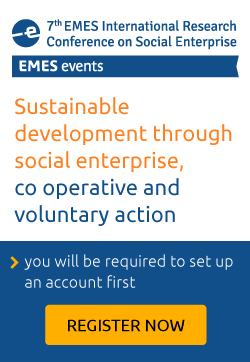 In this context, EMES and its two institutional Italian members, Euricse and AICCON, jointly organise the third EMES PhD Summer School aimed at young researchers at PhD and Masters levels who are attracted to conduct research in the wide fields of social entrepreneurship and social enterprise, social economy and solidarity economy. The faculty will include well-known professors from recognised research centres covering a wide spectrum of research themes, and this multi-disciplinary approach will represent a major strength for the participating doctoral students. We will also aim to maintain a high level of relevance and topicality by ensuring that discussions and debates are located within the current profound crisis of capitalism, where the three SE pillars offer a viable and socially innovative response for the different regions of the world. The 3rd EMES PhD Summer School will coincide with the “Year of Cooperatives” declared by the UN in an effort to bring into light the contribution of this kind of institutional arrangement to the development of a more equal and just society. Trentino-Alto Adige being a region with a proven track record of innovation in the cooperative sector, participants will be able to experience firsthand some of these innovations.